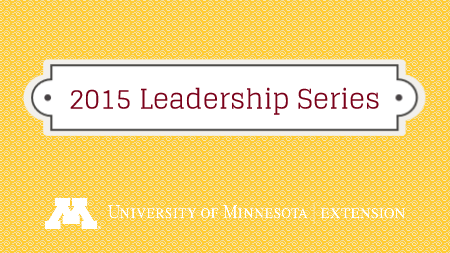 To learn more about each, the dates, and how to register, visit the 2015 Leadership Series page. Registration is already open for the first webinar which focuses on the impacts of creating positive relationships to transform the people and environment around you. If you, your coworkers, or friends in the community can benefit, please let them know about the opportunity.